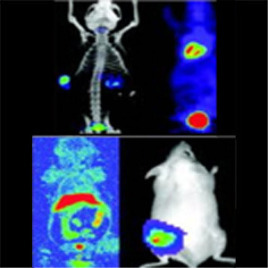 Our Cd based Near Infrared Quantum Dots range in narrow band fluorescent emission wavelengths from 700 nm to 880 nm. 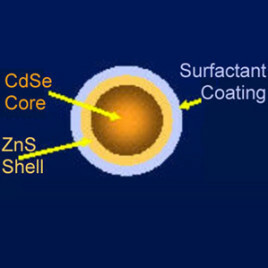 We produce CdSeTe/ZnS core/shell complexes that provide higher levels of photoluminescence and stability when compared to core only complexes. These NIR quantum dots are surface coated with organic surfactants that make them lipophilic and soluble in solvents such as toluene, chloroform, and hexane. 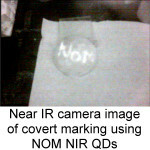 One application among many, illustrated above, is the use of near infrared fluorescent QDs for covert marking, as the fluorescence does not fall in the visible spectrum but can be imaged with a near infrared camera. Prices start at $1955 for 10 mg (minimum order); Available from inventory in quantities of 10, 25, 50, and 100 mg. 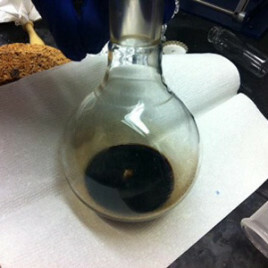 The following organic soluble CdSeTe/ZnS core/shell Quantum Dots are in stock. 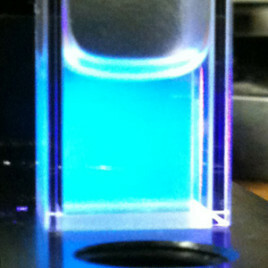 Click links to see specifications and spectra.